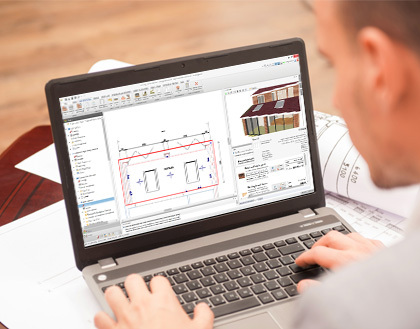 What’s BIM when it’s at home? If you are an average small to medium building firm you could be forgiven for thinking that BIM is just for big firms, but you’d be wrong. Check out our report on why. You might have also read that BIM is a process and doesn’t mean software, but we really struggle with the idea that you can “do BIM” without software, as BIM is about your project data – and there’s a lot of that! BuildingWorks is practical BIM. As you draft your plan it simultaneously produces a 3D model, costs and schedules your resources. Draft a wall, it’s costed and scheduled it and planned it on the build program. Click on the wall on the 3D model and it will tell you all about what’s made of, and it’s associated costs and energy performance. And with “Shareable” pack & go files you can ping your BuildingWorks files to colleagues for review and amends. Instant access to a free trial will show you what we mean! BIM can save your project money. Is this true? We like to think of BIM as Big Improvements to Margins. How so? Reduce actual construction costs. There are lots of estimates as to how much BIM will save you on the capital costs of your projects, and we are not clever enough to know exactly by how much. What we do know is that there are many estimates which put savings on construction costs of between 5-25% depending on your source. Furthermore, even at the lower end of 5%, if you consider how tight profit margins are in a building firm, that 5% could be the difference between profitable projects and break even, or if you were already making money, really profitable projects. But how does it do it? – By specifying your building plan effectively at the outset. When you draft your plans in BuildingWorks, it automatically helps you make effective choices on your building materials. It helps you choose the right products, of the right thermal performance, at the right price at the outset. You can imagine detecting problems or errors at the design stage will cost significantly less than on site. It also helps avoid mis-ordering as your plan and specification clearly defines your requirements. – By ordering materials more smartly. By pricing the building plan as you draft it with BuildingWorks, it is also building up a complete schedule of materials simultaneously which means it is no hassle to provide a complete schedule to suppliers and start making savings by negotiating the whole job rather than ordering piece meal…and by getting the ordering directly off the back of the drawing you can avoid over ordering – and restocking charges. – By delivering your project on time. Time is as they say money. Most projects tend to go over schedule, but actually completing a project on time saves money – your management time, finance costs, penalties for not completing on time and so on. Reduce staff costs – time saved avoiding data re-entry. By designing, specifying and estimating simultaneously, not only are you saving time but you are cutting out unnecessary steps and possible headcount, which in turn saves you money. How much do you value your time? Your team’s time? Reduce the costs of alterations and rework. 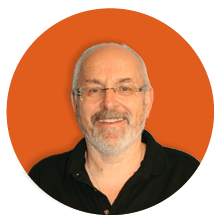 Think of every change you need to make to the design throughout its lifecycle – this has a cascading effect on the project cost and schedule of materials and Gantt chart…just think if every time you made a change to the plan you had to pay for the changes to the BoQ and to the schedule…not only does BuildingWorks save you redraw costs, it saves you re-estimating and re-scheduling costs too. Avoid errors and information loss. Human error (or mistakes as we like to call them!) has an associated cost. With BuildingWorks there are no errors or information loss. 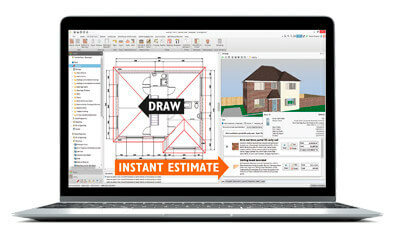 This is because the specification and costs update instantly as you draft your plan or make changes to the drawing. Meaning there are no transposition or interpretation errors. And if it’s not construction cost saving you’re after, BIM should provide you with a much greater accuracy in terms of estimation and clarity on your profit margin. Persuaded? Or what about putting together business-winning estimates which demonstrate a competitive advantage. Better estimating, faster quote or tender returns and a 3D model? Now we’re talking. Want to know more about reducing construction costs on your projects with BuildingWorks? Give us a call on 0117 916 7880 or email hello@getbuildingworks.com Tell us about your building firm and we’ll run through the distinct benefits BuildingWorks construction software can provide. Why not request a free trial here.